Howell at the Moon Vineyards and Winery is on a 21 acre rural site at the top of Howell Mountain in Angwin. We source fruit from our original vineyards planted in 2001, and 2004, as well as from Cold Springs Vineyard which adjoins us. HATM is an all Howell Mountain Cabernet Sauvignon Winery. We utilize Somerston Winery for our Custom Crush, and our bottled wines are stored at Valley Wine warehouse in American Canyon. Outdoors in the center of my Cabernet Sauvignon vineyards on an entertainment deck. Winter time indoors by a fireplace ! 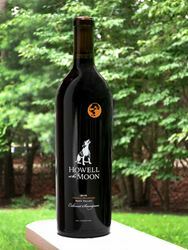 To join the wine club, visit www.howellatthemoonwine.com or call 415-310-8628. Complementary tasting for local resident and 3 guests.